Black and White. #AJChallenge for today was black and white…I decided to try my acrylic metallic silver as a light wash underpainting and then black prismacolor for the drawing. I have always loved this image that I took of fallen plumeria’s in Hawaii…I think that we were in Maui. Even on the ground these blossoms are so beautiful. We were on our way out and these had fallen under the tree in the parking lot. It was the last photo I took on the island that trip. I think it would be nice to do a graphite piece of this, not sure about the acrylic ground. 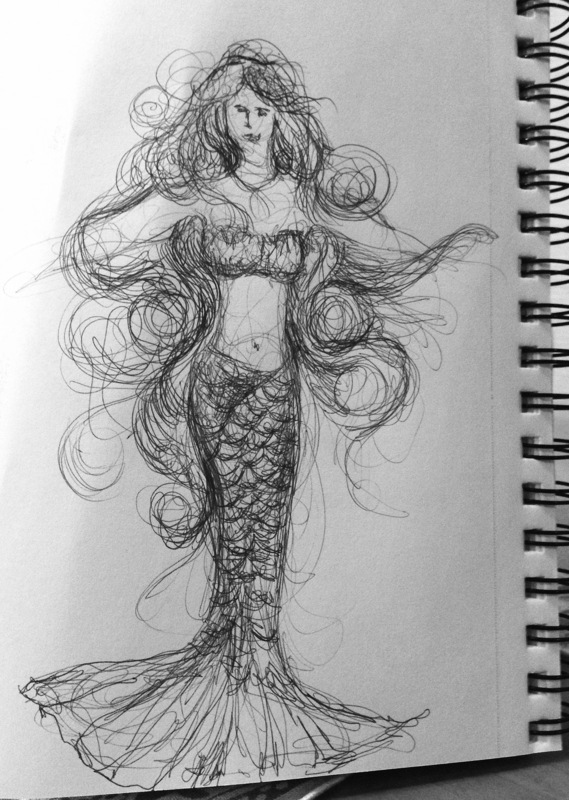 Day 13 was a mythological character, I took a stab at a mermaid. Super fun to draw, but not great proportions. The great thing about the challenge is that even if I don’t have the time to do the day justice, it gives me great ideas for the future. Mermaids are a subject I will come back to for sure. 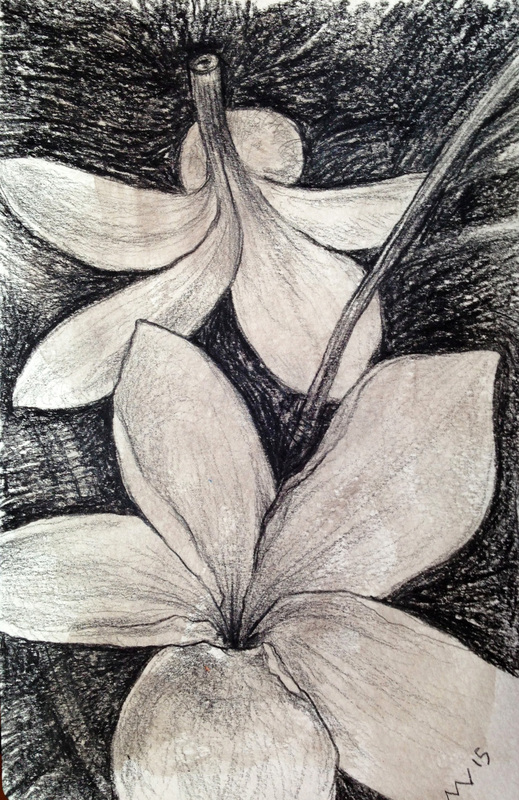 This entry was posted in Uncategorized and tagged #ajchallenge, art, black and white, challenge, drawing, ink pen, mermaid, moleskin, plumeria, sketch. Bookmark the permalink.